My Mission: To help 1 million golfers by the year 2016 to improve their health so they can eliminate pain and injuries, improve their golf game, and live longer so they can comfortably play golf in to their golden years. Why is this mission so important to me personally? My fondest memories are as a child when my Grandfather (pappy) would pick me up and take me to the golf course. At first, he did little more than let me tag along and explain things about golf. He would buy me a burger and fries and I was happy. Pappy would talk about what a great game of skill and honor Golf was. The best part however, was the celebrity status my grandfather seemed to enjoy. Everyone at the club knew who he was and made it a point to come say hi to him. I also have fond memories about my father and golf. One year I wanted a set of Ping irons. I knew it was probably unlikely that I would get a set of Pings. Most of my clubs had came from Wal-Mart off the rack. Most of the kids in my town were fairly well off and almost every single one had a set of Pings or Titleist’s. I had Spalding’s from Wal-Mart. However, I was still able to beat most of them a good many times. It isn’t the clubs – it’s the golfer. My dad knew I needed a new set and started saving money. They weren’t Pings, but the effort he made for me has been burned in my memory. Most importantly golf brought me and my dad closer together. The older you get as a teenager the less time you spend with your parents.. unless you play golf.. I feel very fortunate we could share the game together. Those of us who love golf all have similar stories. Golf brings together friends, family, and strangers that become friends within minutes of meeting them on the first tee. My dad and grandfather are no longer with me, but their memories are. And golf is the one thing I remember most when thinking about them. These memories don’t make me sad, they make me happy. The sad part is realizing that I could of spent more time with my dad and grandfather had they taken better care of themselves. My mother and father both passed before they could see any of my success in sports or business. How many years did we miss chasing the white ball out of the kitty box? My grandfather passed away from heart troubles after having a quadruple bypass in his early 70’s. My dad passed away from cancer. Could physical fitness have helped them? My grandfather I would say 100% yes. My dad, I don’t know, but it may have. It’s about playing the percentages. Eating right, exercising, and taking care of yourself all help increase your odds of a healthier life. That’s why I am setting my goal at 1 million golfers. Imagine how many people we can reach if we work together? Imagine how many lives we can impact? Golf also taught me important life lessons. Read any newspaper or watch the evening news and it’s easy to think the World is going to hell. I rarely watch the news anymore as it impacts my happiness. I just can’t help but think these people mentioned on the news could use a good dose of golf life lessons. Golf taught me to be personally responsible for my own actions. 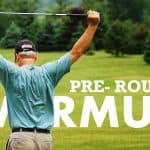 You want to get better at golf? Then you better spend time practicing, exercising, reading… growing. The same goes for anything else in life. Recording or tracking your own progress is also a life lesson. It’s how you know your growing or stagnating. We learn to adapt and then improve. I’ve played with many golfers who kick the ball back in to the fairway and fudge their scorecards. These guys don’t get it – and they will stagnate and lie to themselves. Golf teaches children and adults alike valuable life lessons. I apply the lessons learned from golf each and every day. There is no better sport than golf. How can I reach 1 million golfers? I need your help spreading the word and helping other golfers not only crush their drivers further, but also increase their lifespan so they can play golf until the day they die. To reach 1 million people is a big undertaking but one I don’t shy away from. Getting there is going to take a lot of time and effort. I hope my mission of reaching 1 million golfers to improve their lives will be my masterpiece. Thanks for sharing this “Golf fitness mission and goal”. You are right……there are many, many people to help get in shape, particularly in golf shape. True that there is something amazing about the game itself. I too am interested in helping people get “golf fit”, and I want to primarily work with young, serious golfers…any tips on where to begin? As a personal trainer for 12 years now, It’s a great avenue for me to work into. Your website is inspiring! What state are you located in? Thank you for realizing your mission… I’ve just turned 50 and going thru a little golf renaissance myself, as my 16 yr son has really taken to the game this summer. 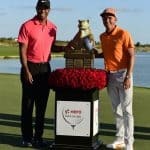 He and I got to share a pretty special month a couple of weeks ago as he witnessed my 2nd hole in one.. just he and I on the course..it was really cool. I also realize that as I’m getting older, fitness and flexibility are going to fade rapidly if I don’t work at it. Looking forward to your plan .. if you need a good case study, let me know. I am looking for beta testers on my new golf program.. 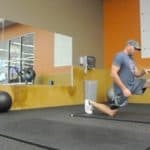 I don’t know your situation or your fitness level.. can you tell me if you would be interested in a Fat Loss and Flexibility program for golfers?